DID SUBLIMOTION (IBIZA) COPY ULTRAVIOLET (SHANGHAI) ? 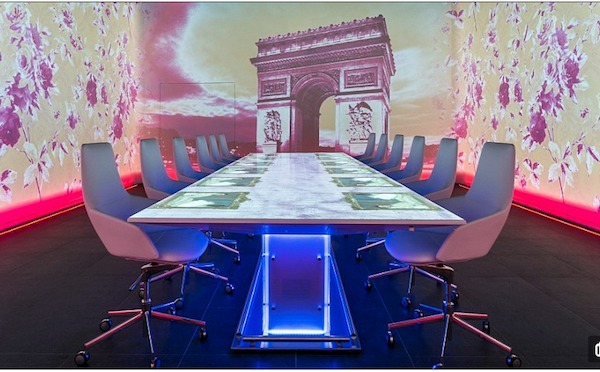 We love Chef Paul Pairet’s Ultraviolet restaurant in Shanghai (www.uvbypp.cc). We have followed the place since its opening in 2012. 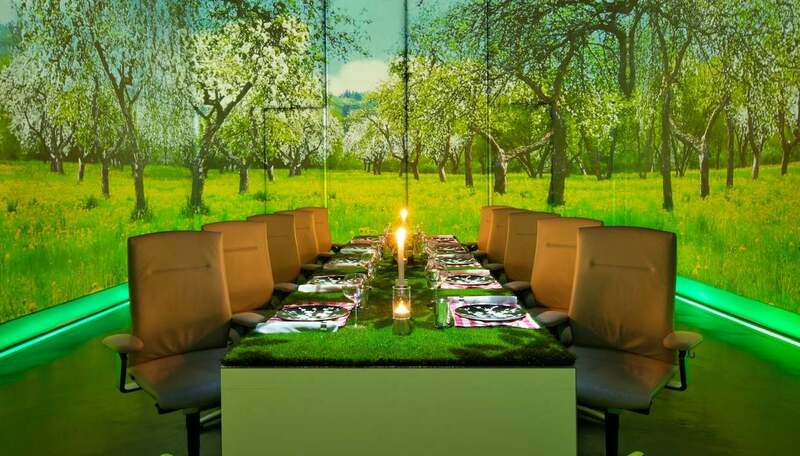 Undoubtedly one of the most innovative restaurants anywhere, but above all one of the best when it comes to food. 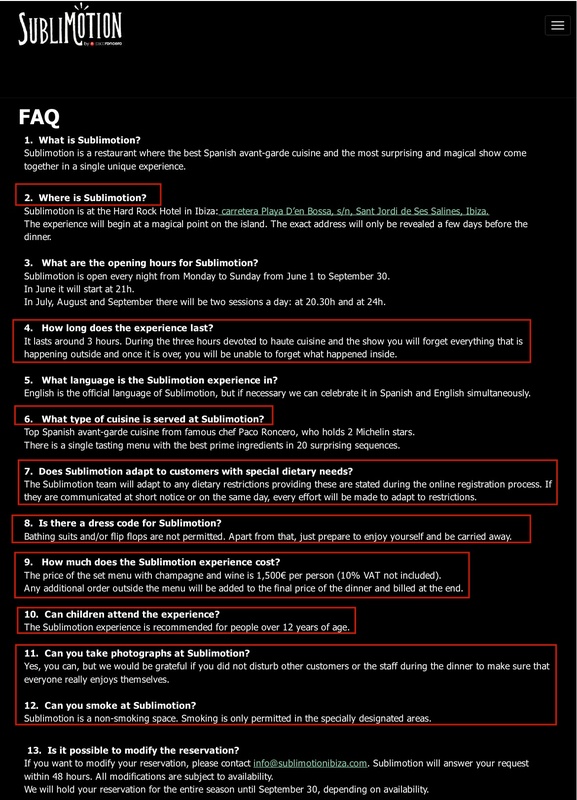 The recent opening of Sublimotion (www.sublimotionibiza.com), a very similar project from Chef Paco Roncero in Ibiza (2 years after Ultraviolet!) came as a shock. 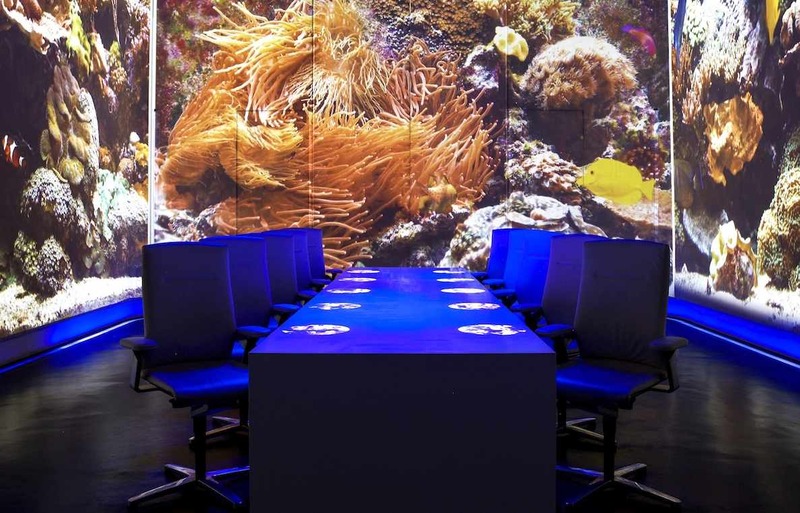 At first we thought that Pairet was involved in this new restaurant – But no – Sublimotion has not much to do with Pairet and Ultraviolet. It is simply a copycat concept, with similar structure, looks and design and descriptions. Roncero claims that he “had a dream”, pretends to be genuine, “unseen”, and talks lengthily about how hard it was to conceive such a project! 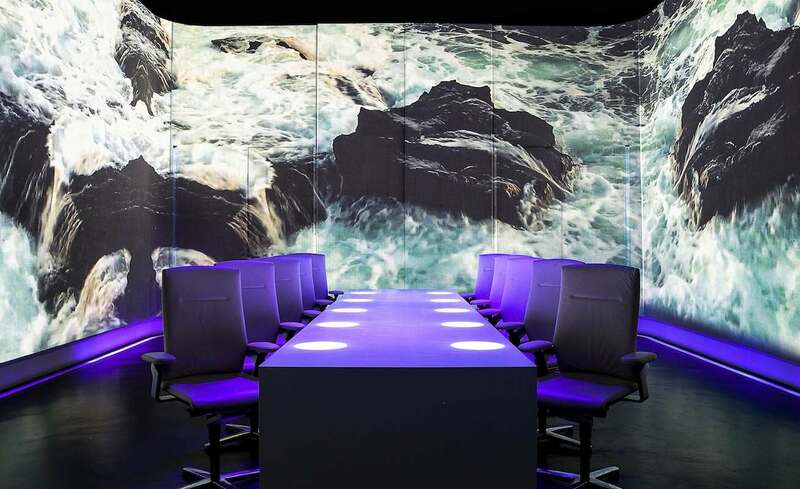 He proudly positions his project as “the most expensive restaurant in the world”… but forgot purposely to acknowledge Ultraviolet’s direct influence. simply because China is generally inclined to copy than to create? They were simply stunned by what we found and the complete lack of ethic from the Ibiza project. See for yourself and feel free to react. Sublimotion entrance / Metal industrial lift | Video screenshot: YoutubeWhat is the point to have imitated as well the design direction on a room which could have taken a lot of other influence? 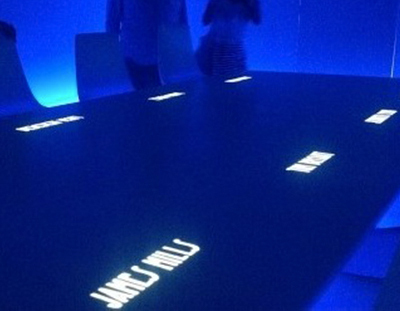 Ultraviolet dining room: Name projectionUpon arrival, names of the guests are projected on the table. 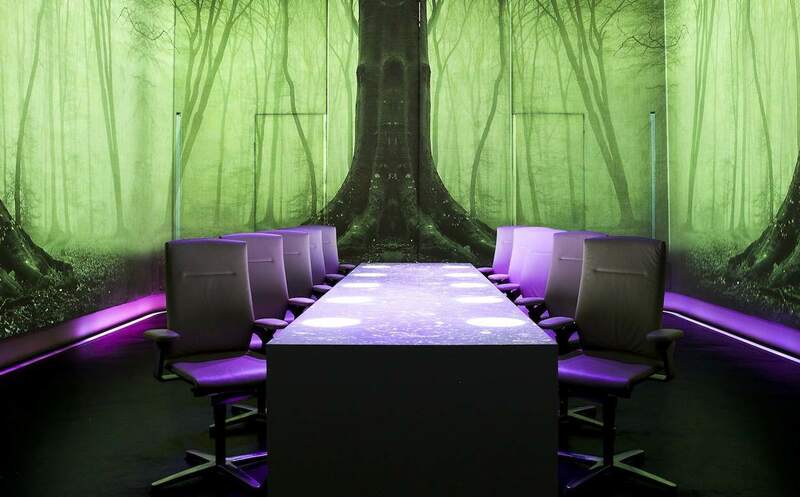 Sublimotion dining room: Name projectionUpon arrival, names of the guests… you know… like in Ultraviolet. 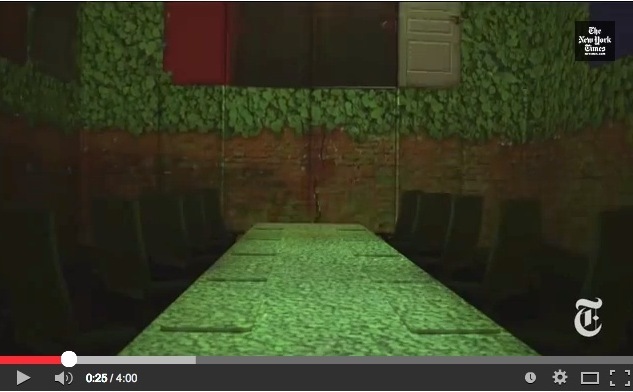 Ultraviolet dining room: Descending scenarioVideo screenshot: The New York Times. 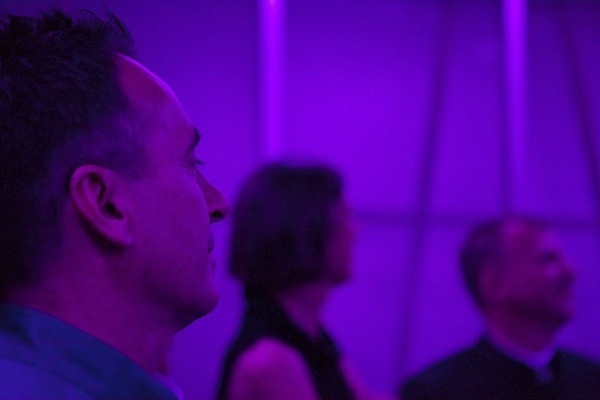 Guests feel like descending through a giant lift taking them in the universe of Ultraviolet. 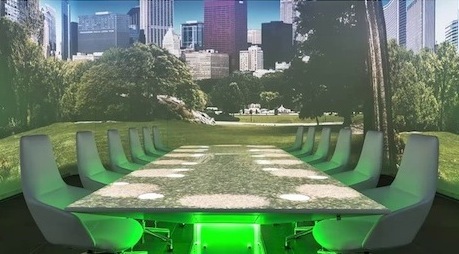 Sublimotion dining room: FieldThe proportion of the table-chair set up and the room is the same as Ultraviolet’s room, except 2 more chairs. 12 chairs instead of 10. Is Paco playing Jesus at the end? 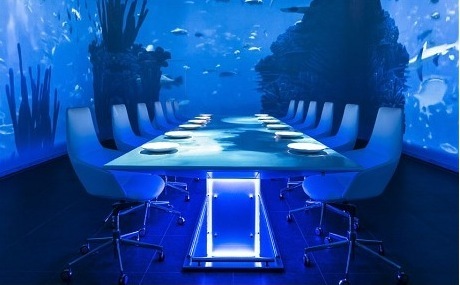 Sublimotion dining room: Aquarium / under the seaVery different this time… it is blue! UVA 2012… but they have also a view of Paris… just after this one. 1996 Sydney, Paul Pairet drafted his first project of a single table to cook at his own best. 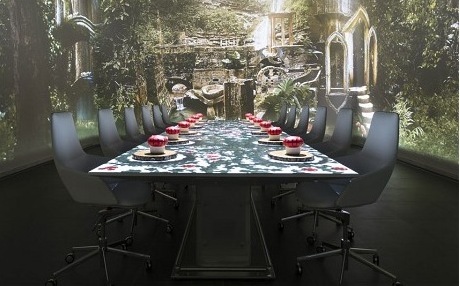 A table of 12… A fixed menu / cooking alone / setting light mood and music / The project will not open. Involving Jean Louis Costes & Julie Andrieu with the crystal brand Baccarat/P Starck design. Project cancelled after 3-month planning. 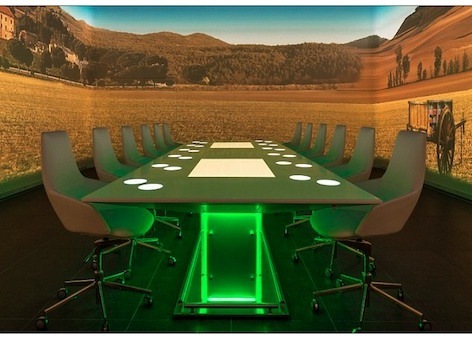 A table of 10, same as above trying to open within a Hotel room / first concept draft in French “Table de 10″. Project cancelled. How did Paco Roncero know about Ultraviolet before anybody else ? who had been recently hired by Roncero – Madrid Spain. 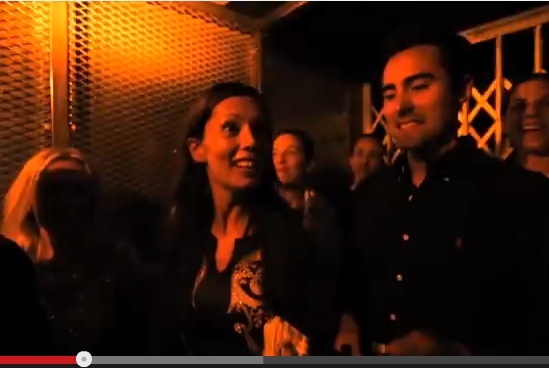 and mailed back to express the wish to be the first to experience Ultraviolet at opening together with… Roncero. From an aborted project in Dubai (Adam-Roncero) to another attempt in New York (Adam). at the 5th Omnivore Food Festival (OFF 5) in Deauville France. The final brochure of Ultraviolet was directly sent to Roncero via Pepe Loira inviting him as well as Ferran Adria to visit the project in construction. 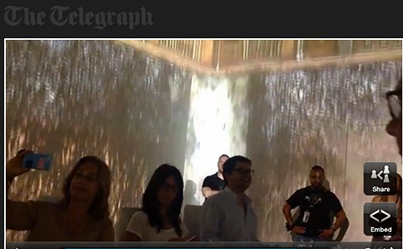 Roncero finally declined the invitation – he was already working on his Madrid “Taller” version of the concept (based on the project he received in 2008). Alain Ducasse, visiting for the first time Shanghai in Nov. 2011 will honor the project by having a first draft demo lunch into an unfinished construction project. 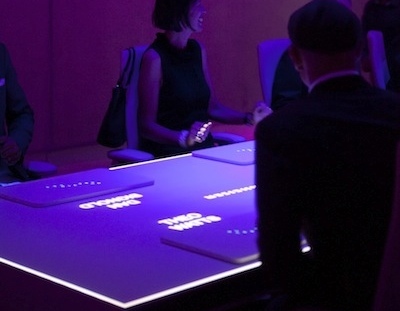 On 17 May 2012, Ultraviolet opened officially its “Table Zero” / Auctioned by Sennheiser. The construction had been delayed over a year but the place will finally open and will be booked out months ahead from the start. Paco Roncero Taller opened in Madrid. 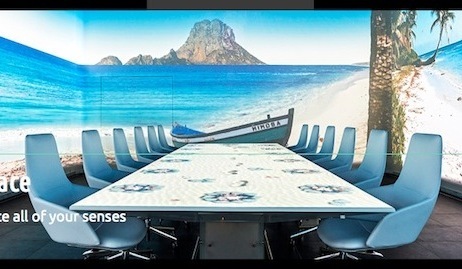 Adam Melonas will ultimately leave from Roncero before this one opened his “Taller” in Madrid in June 2012. This Madrid project will go quite unnoticed. 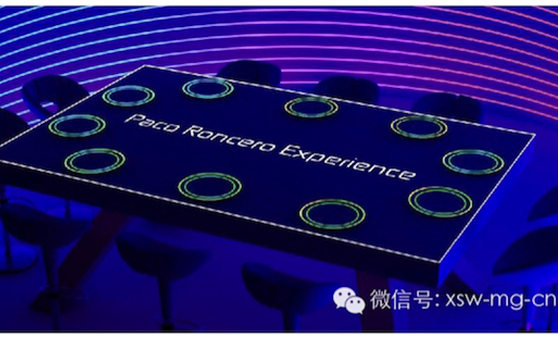 It was Roncero’s theatrical understanding of Ultraviolet concept. Only when Roncero understood what Ultraviolet, now already opened, was really about, did he start to envision Sublimotion. He will study during the next 2 years Ultraviolet to reproduce its structure into Sublimotion. After entering in 8th position of the very first “Asia 50 Best Restaurants”, (scooping along the way the first “Lifetime Achievement of Asia to Mr. Pairet), Ultraviolet will directly enter in position 60 of the “World 50 Best” (extended list) a short year only after opening. 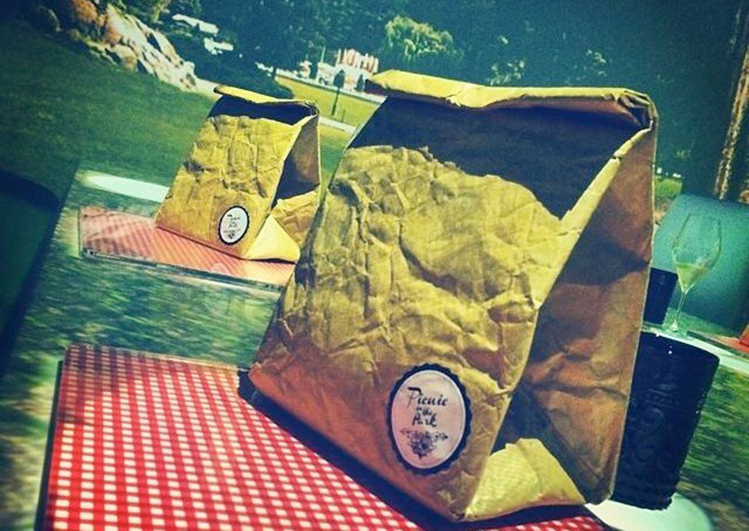 The project will be exposed internationally in major reviews – and is highly noticed within the F&B Trade. A few months before opening Ibiza “Sublimotion” Paco Roncero visited Ultraviolet in Shanghai. Paul Pairet will lead the visit and answer all questions from Paco who will never explain about his Ibiza project. It is not long before Chefs and customers from Ultraviolet wondered if Pairet is involved in this project. Surprisingly, he was not! 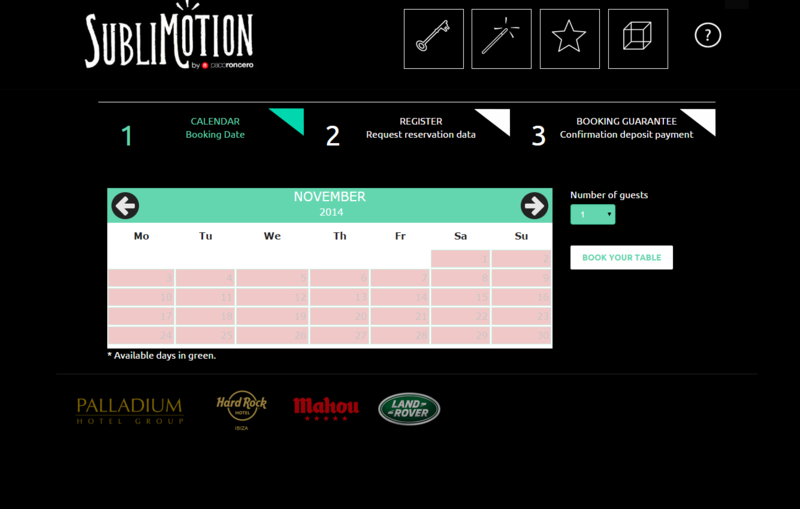 Sublimotion was simply a copycat concept, with similar structure, looks, designs and descriptions. Paco Roncero knows quite well Paul Pairet. Both chefs met in Shanghai in 2007 at Jade on 36, the fine dining from Shangri La Hotel, helmed, at the time, by the French Chef. “San Sebastian Lo Mejor de la Gastronomia” and “Madrid Fusion” – the 2 major Spanish Chefs’ congresses. It is in San Sebastian 2007 that Pairet will recommend Roncero to hire his ex sous chef Adam Melonas – from whom he will learn about the Ultraviolet project ahead of anybody else. pretending that Sublimotion was a “dream” and that he had to work hard on this project, remains a mystery. How he could copy so much the concept and its whole structure without at least mentioning his obvious source, is simply unbearable. For all we know, when Pairet questioned Roncero about his posture, this one went very vague and insured that he always mentioned about Ultraviolet to the press. 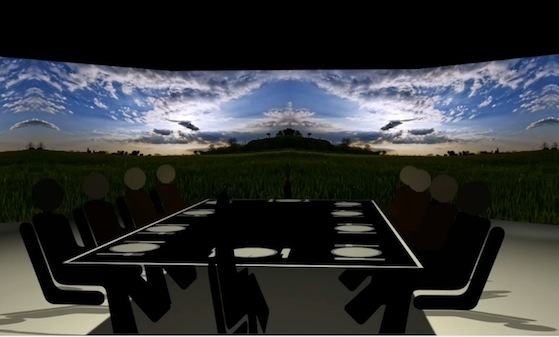 the technology serves the food, and presenting Ultraviolet solely as “the first 360 projection restaurant”… what a nerve! Ultraviolet was indisputably the first restaurant of its kind (preceding of a year another Spanish project “El Somni”, and Sublimotion of 2 years). There is probably nothing wrong with other chefs investigating this fantastic concept with their own perception. But in the case of Sublimotion, it is mostly the complete lack of ethic that is the most serious offense to Ultraviolet’s prominence. 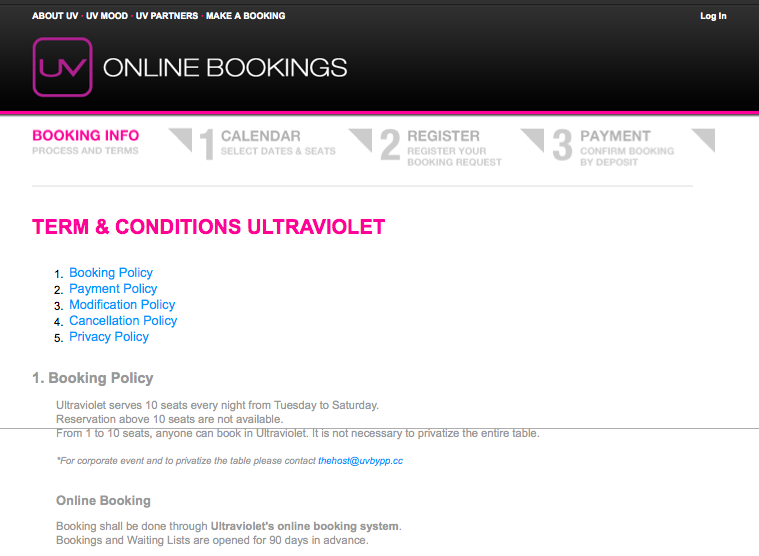 The first red light came actually with the shameless copy of Ultraviolet’s website by the team from Sublimotion. 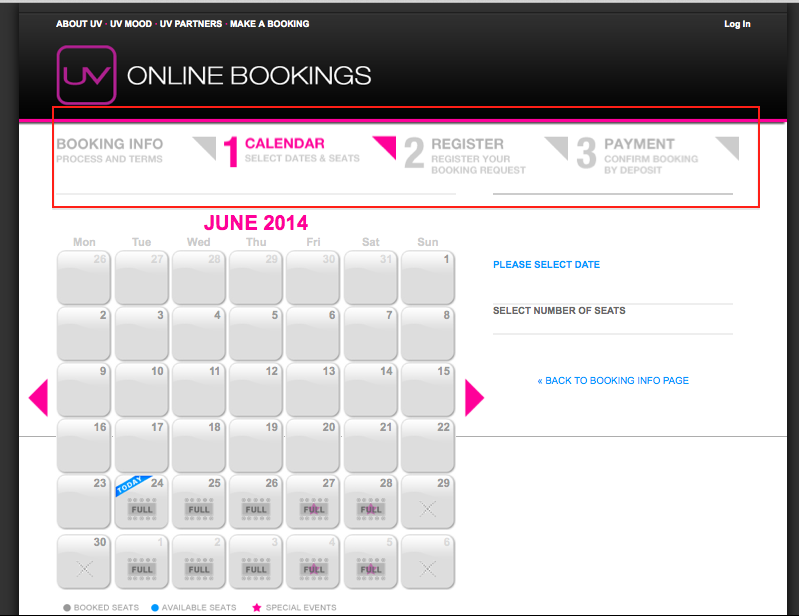 A copy of the 3 steps online booking system (up to little useless design feature) as well as of the FAQ. Why did they even copy the little triangle aside of the steps 1,2,3…???? Ridiculous! Can’t they even think about their own FAQ? More than two third of the questions are from Ultraviolet version. 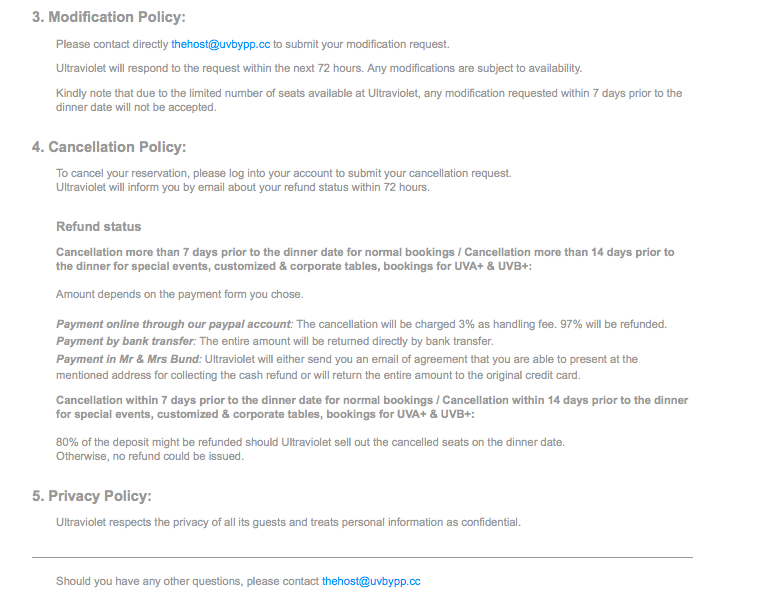 Terms & Conditions | Screenshots from Booking system, June 24th 2014Of course, same as Ultraviolet – How convenient ! 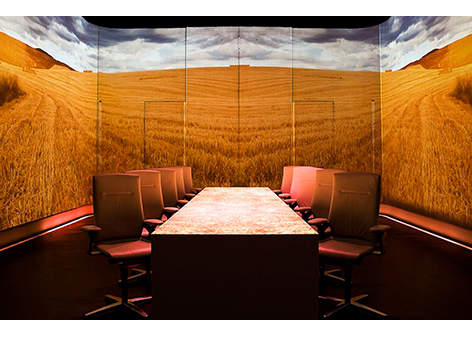 unite food with multi-sensorial technology in order to create a fully immersive dining experience. The key words of description is, of course, similar. 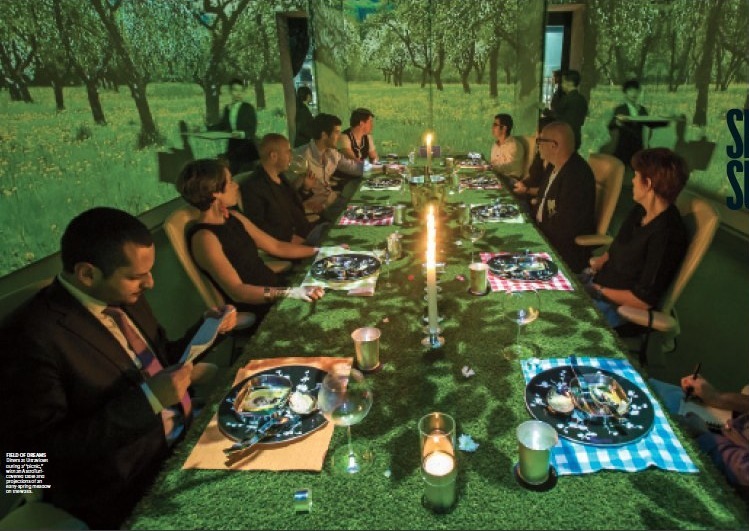 Sublimotion is the achievement of one of Paco Roncero’s dreams in which culinary vanguard and technological innovation unite to create a complete and up to now unseen emotional experience. It’s advanced systems allow the creation of chromatic atmospheres, the control of the temperature and humidity of the space and the aromatization of the ambience under a musical sequence especially composed for the occasion. (…) Upon entering, you will see state-of-the-art technology and design flooded with aromas, scenic views, sounds and music, where you are the indisputable protagonist. Paco Roncero manages this way to conceive an exclusive space in which to experience, for those who get a chance to know it, the most intense emotions. How the video ends was done similarly like Ultraviolet. The whole concept presentation is obviously inspired by Ultraviolet. 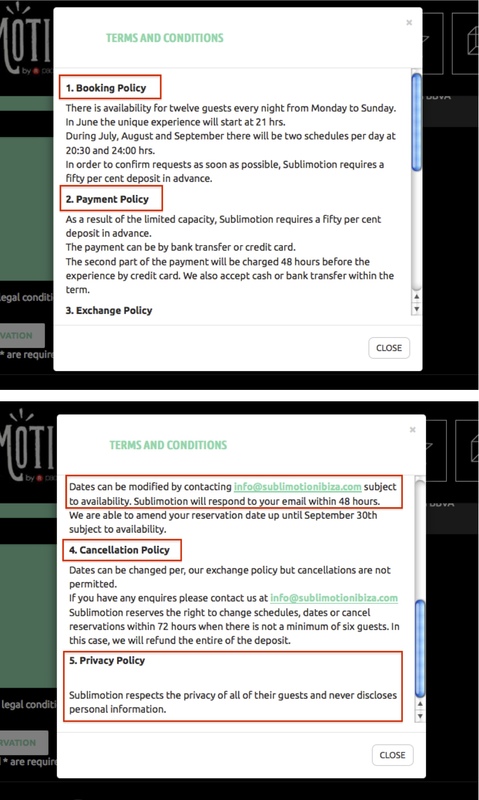 Gab on DID SUBLIMOTION (IBIZA) COPY ULTRAVIOLET (SHANGHAI) ? 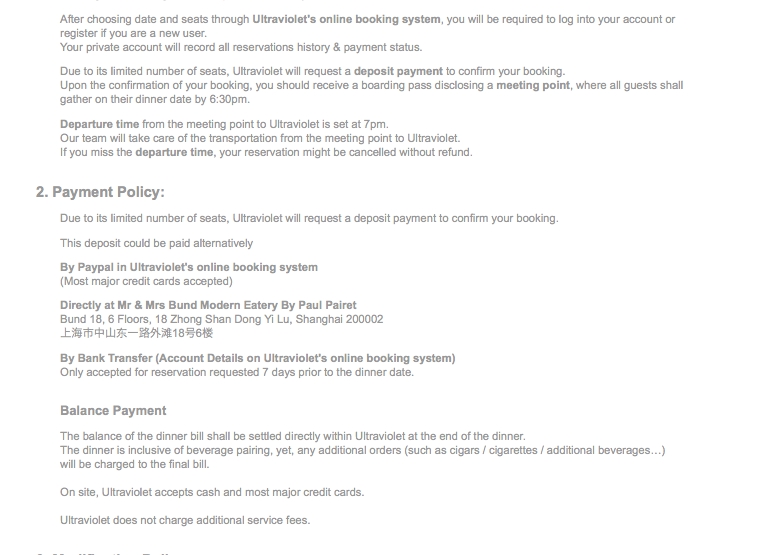 olaf S. on DID SUBLIMOTION (IBIZA) COPY ULTRAVIOLET (SHANGHAI) ? ultrazorro on DID SUBLIMOTION (IBIZA) COPY ULTRAVIOLET (SHANGHAI) ?